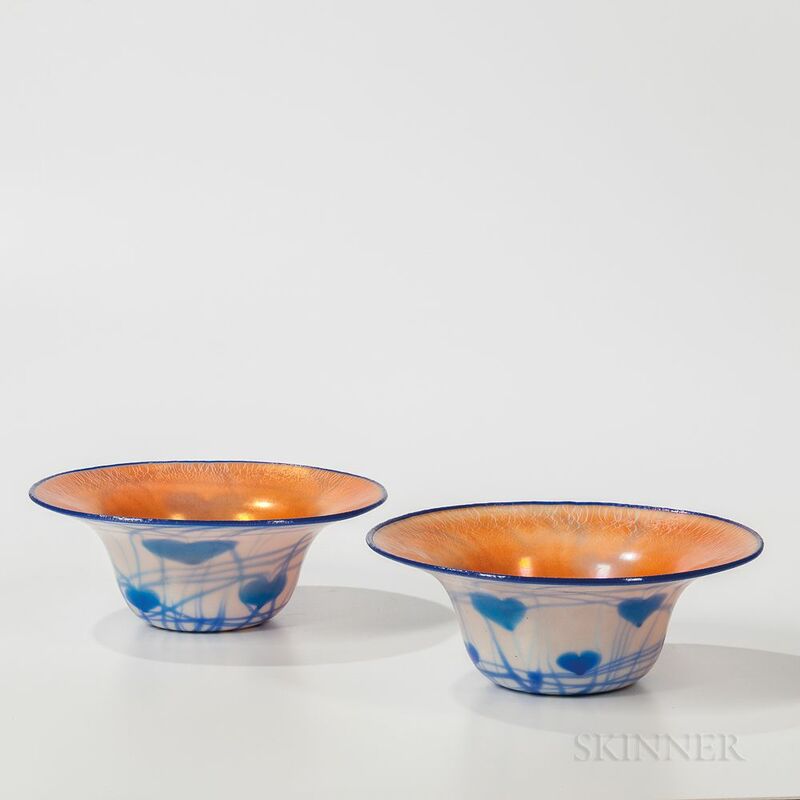 Pair of Imperial Art Glass Bowls with Hearts and Vine Decoration, Bellaire, Ohio, early 20th century, each with orange interior and white and blue Hearts and Vine design on the exterior, unmarked, ht. 4, dia. 10 1/4 in. a few fleabites to the exteriors, a dark residue affixed to one, and scratches to the interior of one bowl.